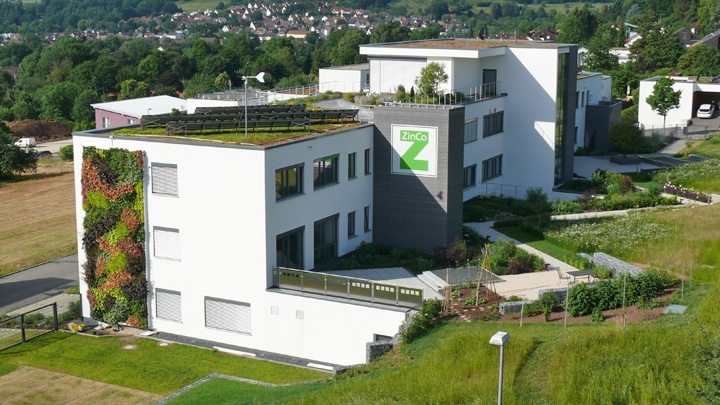 ZinCo – as one of the leading companies in the green roof market – are pioneers and innovators in the field of extensive and intensive roof greening. Research projects and innovative systems developed by ZinCo inspire architects and demanding clients to plan both private and large public buildings in a holistic and sustainable way. ZinCo are based in Germany, with offices in over 25 countries throughout Europe, Asia and the Americas. We install over 1,5 million square meters of Green Roof Systems annually and deliver superior environmental and economic benefits to building owners and communities all over the world. It is exactly there, where unspoiled nature is being sacrificed for building developments, that green roofs are the ideal solution for counterbalancing the loss of natural habitats. To help replace the lack of natural habitats and the natural cycles that are lost with them, ZinCo provides tailor-made system superstructures, which are designed to meet the requests of the customers and the character of the roof in question. In cooperation with scientists and practitioners, a team of engineers is working constantly to continue to develop the systems.